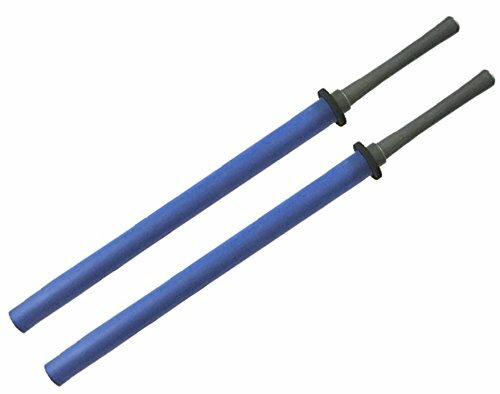 Brand: Blue Fusion Wave Bokkens | Manufacturer: Top Quest Inc. 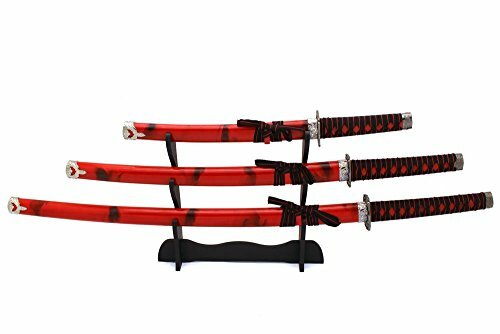 These are beautiful swords and are well made. Each sword has a hardwood RED with Black brush finished scabbards. The end caps and hilt are dark silver steel with a decorated design. The black cord wrappings nicely match the scabbard colors. The sword lengths are 21 inch, 31 inch and 40 inch. The base of the stand is 12-1/2 inches wide and 12 inches high and is constructed of wood material with a black finish. Each sword has a hardwood RED with Black brush finished scabbards. The end caps and hilt are dark silver steel with a decorated design. The black cord wrappings nicely match the scabbard colors. 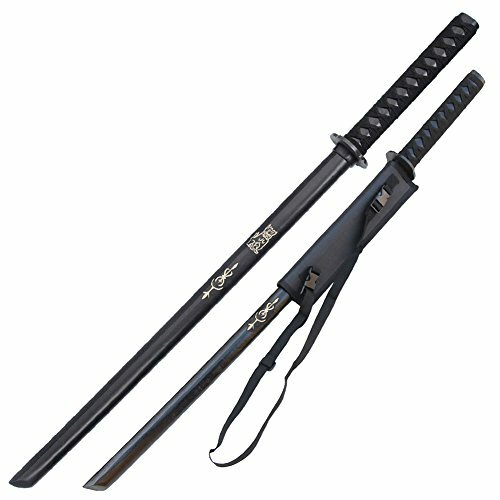 The sword lengths are 21 inch, 31 inch and 40 inch. The key to good martial arts is basic training and having the right equipment. 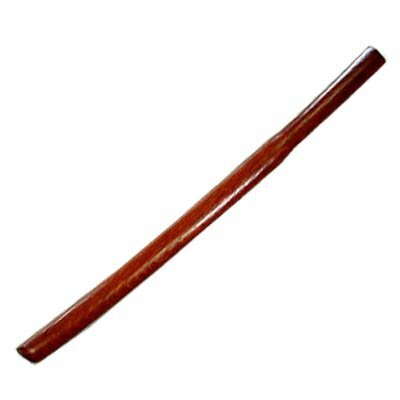 This bokken set is great for Martial Arts Practioners. They are constructed of hard wood and come in a set of two for sparring with an opponent. 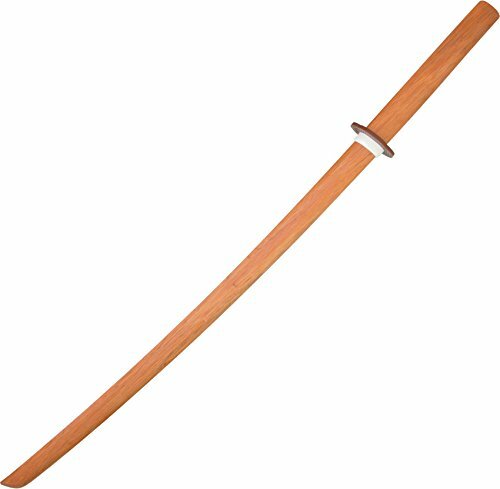 Bokkens were designed to lessen the damage caused by fighting with real swords and were used for the training of samurai warriors in feudal Japan. A black nylon wrap is provided on each handle. These bokkens are 40 inches and come with an ABS guards and securing rings. 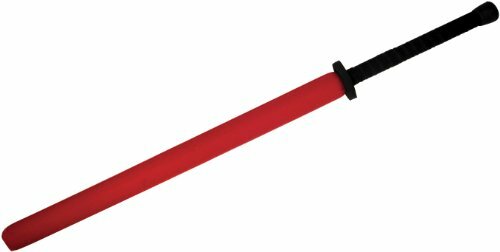 This Red Foam Sparring Bokken is perfect for sparring in the dojo or the backyard. No bruises, no broken bones, no problem. Measuring 40" overall this hard foam sparring bokken is perfect for all of your training needs. Brand: BladesUSA | Manufacturer: Master Cutlery Inc.
Hard wood suborito from Taiwan. 112cm long, AVERAGE WEIGHT OF 1 kg. This heavy stick will help to develop your arm muscles. Beatrix would have had an easier time if she had a sheath to carry her sword in just like the one provided in this combo. The sheath is made very durable from a tough nylon construction with a hard inner lining which helps the sword stay in place. Stitched onto the nylon case is a cross chest strap which goes onto your back. Either you hold it on your shoulder or strap it across onto your back. 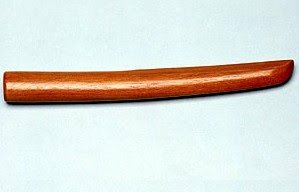 The bokken you see here is all-natural wood with black lacquer finish. The handle is wrapped with black nylon cord for extreme grip. Included is an ABS guard with securing ring. 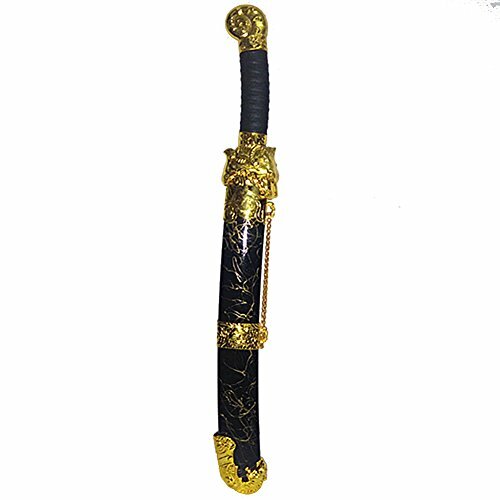 One side of the blade is engraved Kill Bill Hottori Honzo Bride and the other side has the Foo-Dog with the Flower engraved. The Foo-Dog being Hattori Hanzo insignia. 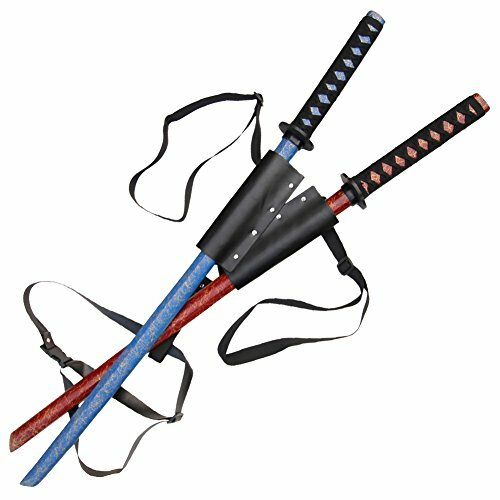 This is the ultimate Aikiken practice set as it comes with two practice bokkens and an adjustable back sheath. Both These bokkens are constructed from solid wood with flair. The golden design looks like spun gold and makes for an overall exquisite piece. 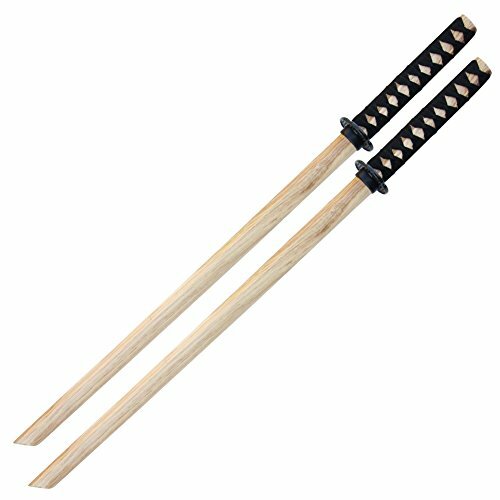 Use these wooden swords for training and sparring. ABS guards are provided to protect the hands. The double back sheath is constructed out of polyurethane. Two adjustable nylon straps allow you to adjust the height that you would like the swords to hang while adjusting for a good fit. Below the holsters is a connecting steel ring that holds an adjustable nylon belt loop to fit the adjustable polyurethane belt through to secure this sheath around the waist. This one piece design is carved of a red hardwood and sanded to a smooth finish. Great for training! 11 1/2 inches long, this knife is designed to resemble a real tanto knife without the danger or expense of a sharp blade. Provides entertainment for your kids for a long period of time.